Taking place from November 26 – 29, 2017 at Dubai World Trade Centre, The Big 5 is the largest construction event in the Middle East, and is the global meeting place for suppliers looking to meet with key buyers and distributors in dedicated product sectors. RAKtherm Ultimate Piping solutions was chosen as the "Piping Solutions Partner" for this years' event. RAKtherm will showcase its signature brand for PPR and PEX piping systems along with the latest collections from RAKtherm’s New Innovative Fittings and Accessories. This will provide smart and tailored solutions that advance the piping systems standards of the MEP industry. 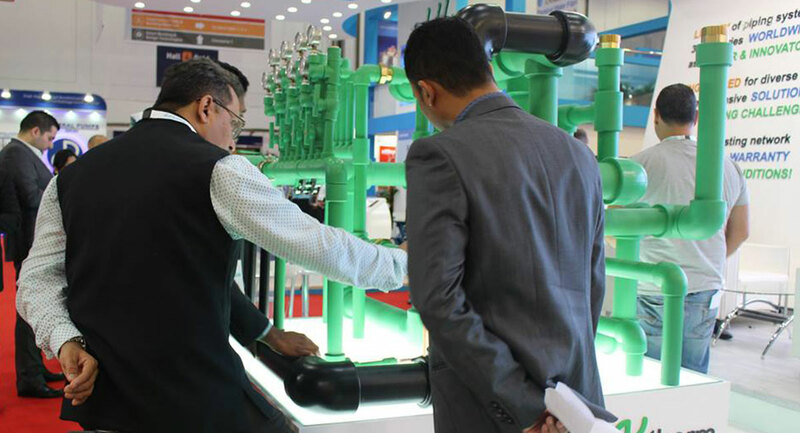 Being the ultimate piping solutions provider, we will unveil and showcase the newest array in RAKtherm’s piping systems range. It is called RAKtherm DWV piping systems, a highly developed comprehensive system for drainage, waste, and ventilation applications. In modern plumbing; it is part of a system that removes the sewage and greywater from residential and commercial buildings, and regulates air pressure in the waste-system pipes to aid free flow.